Selecting wedding guests can be exhausting. The numbers effect the budget, the space, the caterer, the table settings, the favors, and much more. With so many factors tied to the guest count, it’s important to have an accurate count. Here are a few things to help you when it comes to creating your wedding guest list. Unfortunately you will have some wedding guests who do not RSVP. Maybe it got lost in the mail or in the pile of mail on their kitchen counter. Perhaps they thought they sent it in already. For whatever reason, there’s no record of their response. Don’t just assume the person isn’t coming. It is better to err on the side of caution and call them and find out for sure. If there are several guests who have not responded, then divide up the list between you and your fiancé and call each one. Tell each person that you are checking in to see if they will be able to attend the wedding. There may be some people who misinterpret your invitation and include an extra guest. Perhaps they thought they could include their new girlfriend or that the invitation was to the whole family, including their six children. They probably don’t mean to cause a potential problem, but it does make things complicated if you have planned seating. There are a few things you can do to prepare for these situations. The first is to clearly indicate who the invitation is addressed to on the envelope. On the RSVP card, add a section for where they can write how many guests will be attending. This will give you forewarning if the number is higher than you expected. If you find out there are extra people who plan to attend your wedding, and you really do not have the space or budget, you can call the invited guest and explain that as much as you’d love to include the other person, the venue has a strict limit that you’ve already reached. The second thing to do is to come up with a game plan in case there are extra people. This could mean that you add a few people to you’re the catering estimate or plan to have a couple of extra seats available. If you plan for these unexpected extras before the big day, then you won’t have to figure out what to do on an already stressful day. 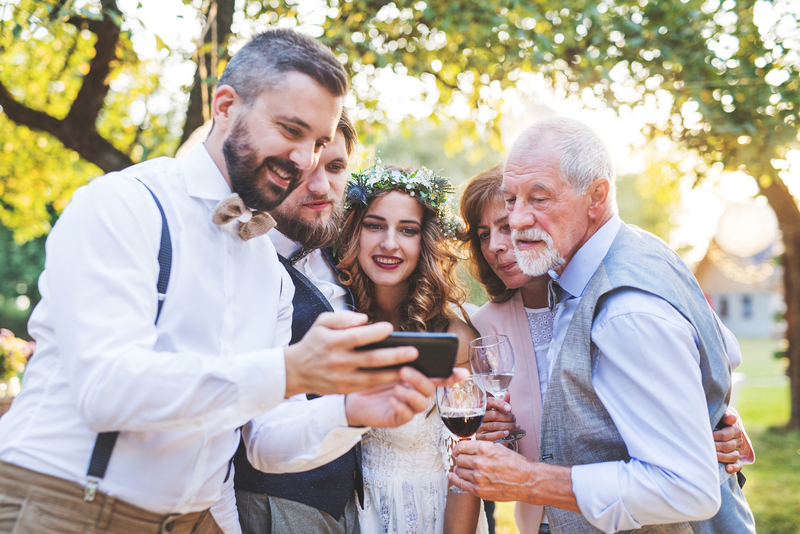 While not submitting an RSVP and inviting extra people is not very considerate, by preparing for these situations you will be the epitome of a gracious host – and a much calmer bride.